Wonderful! Now, EU, please DO this. It is good to see, that Europe is slowly finding the courage to crawl out from under the American corporation dominated yoke. After joining the AIIB with most of the US alliea, much to the chagrin of the US, Merkel is now in Beijing appealing for assistance for the fugitive flood and calming of the Syrian situation, and being assured of it by the Premier Li Keqiang. Note, that she did not go to Washington. Now is the time to also defeat the TTIP. Let’s hope they also act to end the embassy imprisonment of Assange and request a pardon for Manning. Gratitude and kudos are in order for the countless people who have put their lives on the line and keep pressing for transparency and an end to the corruption - and its good news definitely - but this is just one thread compared to the whole cloth, just one crumb compared to the whole loaf - for which it is deserving of a cartoon. Onward! General Staffs make all kinds of plans all the time. Canada, for instance, has a plan for invading the US. No doubt the US has has a plan for invading Canada. When you don’t have an actual war going, you plan for one. Does Spain have a plan for invading Portugal? Probably. Go EU! A littlle bit too close for comfort but significant that so many were willing to stand up for justice. The remaining Presidential Democratic candidates and, I assume, all the Republican candidates say they would prosecute him. Fear and ignorance reign in this country. Save us from ourselves! 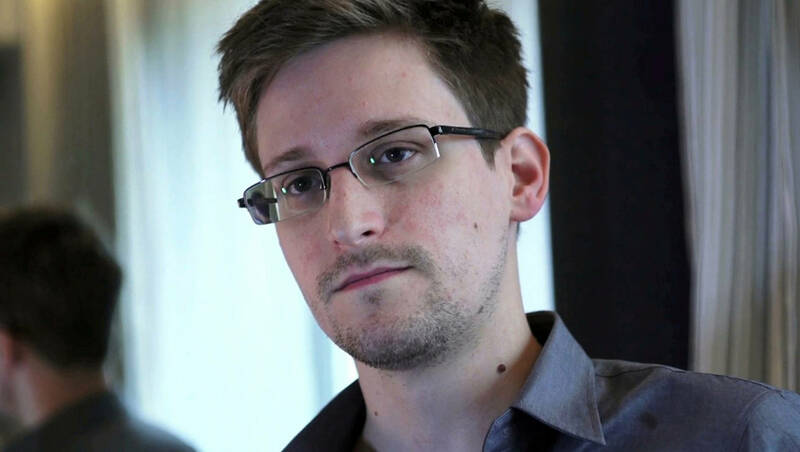 Good luck, Mr. Snowden. You have earned it and so much more. Good that it came out in his favor, but I’m surprised and dismayed that it was such a near-run thing. My great hope for the EU was that it would gather power and stand up to the US. Good job, EU! scroll down to your state and learn, how you can get into the act. If you are left out, you cannot help Bernie! Think about that. The Dem. Primaries start on Feb 1 in Iowa, followed by New Hampshire on Feb 9 and still in February by Nevada and South Carolina. A big slew of 11 states hold the Dem. primaries on March 1st. Do not delay, secure your input as soon as possible and then pass this information on through the social media to all your friends who support Bernie. Leave out Hillary supporters. We have to win this one for America! Your failure to include the whole quote is the kind of disingenuous, cherry-picking, misleading slant I’ve come to expect from Sanders haters. "SEN. BERNIE SANDERS: I think Snowden played a very important role in educating the American people to the degree in which our civil liberties and our constitutional rights are being undermined. SEN. BERNIE SANDERS: He did—he did break the law, and I think there should be a penalty to that. But I think what he did in educating us should be taken into consideration." You have to appreciate, that many countries in Europe are still kowtowing to America, remembering the old US, which stood up as a bulwark against the Soviet Union. Especially the eastern members still remember that fondly. The “Soviet Union bad - America good” feeling still pervades many countries there. That feeling is slowly dissipating, as the oldtimers are replaced by younger more critically thinking people, but is still the explanation, why the TTIP has not been laughed right off the negotiation table. So Sanders is calling for Snowden to be punished - but with a few less lashes - maybe. I assume you were trying to make a point? Also, could we dispense with the childish name calling, please. The EU is perfectly capable of, and in some cases is, imposing even more extreme neoliberal economic “reforms” (mistakenly called “libertarian” in the US) on their population than the US does. And their policy on Snowden (who himself leans to the “libertarian” side) is a good thing, but has nothing to do with economic agendas one way or another. Ayn Rand herself would be calling for Snowden’s pardon. Good for Mr. Snowden. As for the Sanders haters; well, if you can’t take the heat stay out of the kitchen.